The Bluetooth surround sound speakers for my MagniFi Max SR make startling popping sounds periodically and frequently in every form of use, whether HDMI input for a film/TV, aux/Bluetooth/chromecast for music or other audio sources. It was my understanding that this was a known software issue that would be resolved with a software patch. For the last 3 months I have been waiting for this patch, and while it has improved from awful to annoying, the issue persists. Is this actually a hardware issue? Will Polk ever fix this or replace the defective components? What is the time horizon for delivering the product that was marketed? My excitement has turned to disappointment. I too get pops from the rear speakers. It sounds like firecrackers off in the distance. I also get an occasional, loud, quick "digital chirp" on the surrounds. I am on software version 79. Same problem here with the popping and crackling from the subwoofer. I exchanged my first purchase thinking i had a defective unit but the problem remains. Not a happy camper. WTF Polk? At least acknowledge the problem. Polk rep contacted me 3/27, and I think they're getting "on" the case. Disappointed to see this is a common issue...just started happening and got to the point I had to turn them off. If I was still in a return window I'd think of doing it but that ship has sailed. How do you determine firmware version you're system is on? 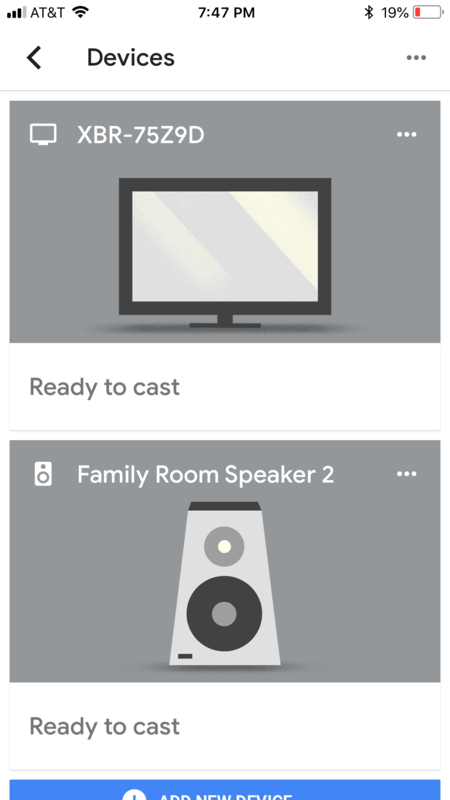 Use Google Home app, open Device Card for soundbar and tap three dots for settings. Latest is version 79. I also get the startling chirps! I recently contacted them and the rep on the phone said that it was a known issue and encouraged me to keep updating the firmware. I have been doing that and it has gotten better before going back to the same or worse. I also suspected some interference, so I have taken measure to try reducing interference. However, interference is a reasonably foreseeable problem that the product should be designed around, asking either to repair, adjust price, or accept a return. Here's what loyally standing by them while they develop a patch gets you. These are direct quotes from written correspondence with the customer service department: "Upon purchasing the MagniFi Max SR you agreed to the listed cost of $599.95 + tax. I apologize for the trouble that you experienced regarding the surround speakers, however this does not modify the agreed-upon price that you paid, and so we are unable to fulfill your request." And another zinger from the Customer Service Debate Club President, "At the end of the day there is nothing in this system to repair. If the latest update failed to resolve the issue, be advised that the fix for this problem will come in the form of an update. At this juncture a return is not possible as it has been several months since the unit was purchased and is outside the 45 day return window we enforce." The empathy is in the correspondence is feigned but the argumentativeness appears genuine. I would suggest that the best way to manage the stress in the customer service department is to invest in actually fixing or recalling the product, or at least offering a check for the incremental costs of the surrounds over the bar and sub-woofer combo. Since they're aware of a problem, and working on some update (beyond v.79) I remain optimistic this will get corrected. When all "systems are go," the Max SR sounds really good. A chirp-free patch will make my dog really happy too. I am also experiencing popping/chirping/etc. 1. If I don't connect it to the internet, will that prevent it from installing newer firmware that caused the popping issue? Or is the issue right out of the box? 2. I saw some posts that changing to 5G wireless seemed to help the speakers not pop, has anyone had any luck with this? I know for a fact, there is a fix in the works, so I'm hanging in there. What I have noticed is there is specific program content that triggers the chirp, and (for example) it occurs on the same network news show I watch nightly. It could be something in the transmission of the show from NY to my local ABC station, since it happens daily on that 6:30 program, but nothing else on that local station. I watched the full series "Counterpart" on Starz, and almost every episode caused the pops and chirps. There are days at a time when there is no bad behavior from the MaxSR. Okay, helpful thank you. I have it arriving tomorrow and will see if it starts having sound issues. If it does, I'll write to Kenneth Swauger. Nice to see this forum is so active, I appreciate your replies. I have chirping from the surrounds. I also have crackling noises from the sub (on 2nd one now, dealer replaced whole system) & popping from the surrounds. I experience this manly when playing Blu Ray & DVDs some of which were brand new. TV & Netflix are OK most of the time although noise from sub can still be heard & is distracting. Tried turning off WiFi & devices in house & still experience issues. I suspect it may be a specific signal from source causing pops rather than WiFi but can’t be sure. Such a shame as sound is terrific when all working as it should but considering the cost it’s disappointing. Several friends/relatives have been put off buying one when they have heard this for themselves. Any update on the new firmware? I’m also on version 79 at the moment. There's a whole lot of chirping going on. Thanks for the update LeeSoFL fingers crossed they’ll roll out the new version to everyone else soon. Agree with your comment about the popping not being related to sound bar transmission to sub/surrounds & more to the system handling (or not!) certain sounds/signals from content . For example experienced rears popping the other night at the end of the opening scene of Skyfall just at start of soundtrack. Loaded DVD which came free with the Blu-ray & had pops/interference at exactly the same place which would seem to rule out damage to disc or intermittent loss of signal from the sound bar or WiFi interference. Polk is aware of the problem and is working on a solution as part of a firmware update. I don't have a specific date, I'd approximate it within the next seven to ten days. If you'd like to be a participant in a beta test of the update send me a PM. In the meantime if the popping sounds are too distracting unplug the surround speakers. I can't agree with Nick_S that popping is not related to transmission between soundbar and wireless speakers. If so we should have same issue with soundbar not only with subwoofer and/or surround speakers. In my opinion it is definitely problem with proper transmission of signal from base to wireless speakers. I switched all transmitting devices at home. Router, mobiles etc.and connected my phone (plane mode) using AUX port and noticed still the same noises from SW and rear speakers. So it shouldn't be as well problem of interferences with other home devices. I really hope that upcoming update will fix the problem. I wish that to Polk and myself. As well what comes out of the subwoofer is not the same signal in the rear speakers. Anyway I hear noises from both, SW and SR speakers but never from bar. I probably didn’t word my last post very well. To clarify - In my case having turned off all wi-fi in house & not being near an adjacent property I don’t believe the issues are in the main caused by wi-fi/radio interference but rather the soundbar unable to transmit certain signals to the rear speakers from source which then causes a pop. I have been able to recreate popping by playing the same part of a film Skyfall) on both Blu-ray and DVD. Some discs will play completely fine time and again. I don’t know about the sub issues or if that will be resolved. Started watching Black Panther, I hear THUN-KA-THUN... I actually watched the sub to see what was going on. Every time it made the thumping sound the sync button flashes it’ll blink for a moment and stop. The thing is, it shows on the Soundbar that the Sub nor the SR speakers are even paired. There’s no sound on the SRs and the only sounds from the Sub is the horrible out of sync thumping. Unplugged the sub and tbe SRs and attempted to pair them...nada. They will not sync. I am having the same issue - chirping / interference in the rears and sub popping and crackling. I have replaced the system, disable all wifi in the house, added a power conditioner, changed cabling, tried multiple sources. Nothing works. I really hope the firmware update when it is available can fix the issue. I haven't had the chirp since 85, but the popping still continues to be a serious issue. 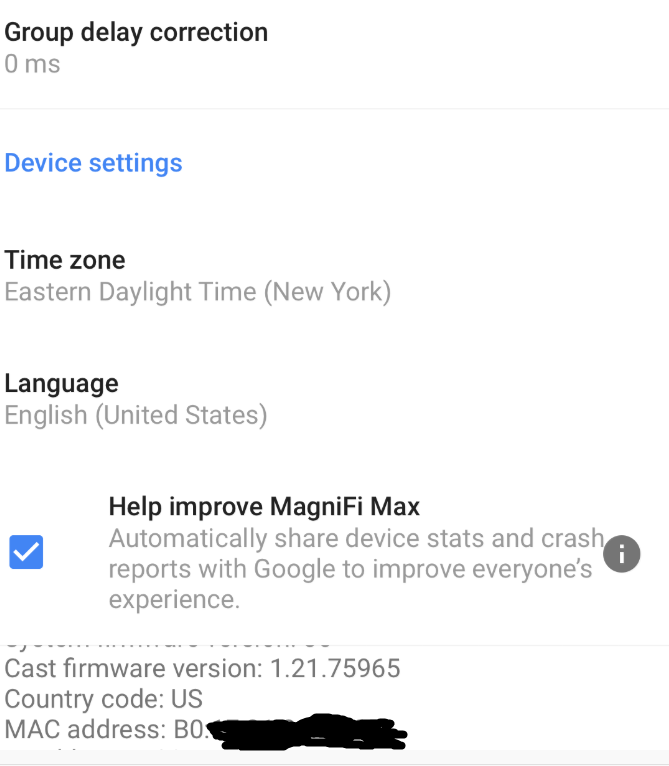 On the Google Home app, there is a "help improve" box covering the Polk software version info, so please let me know if anything newer than v85 comes around. Do any of you have that problem seeing what version you're running? ?